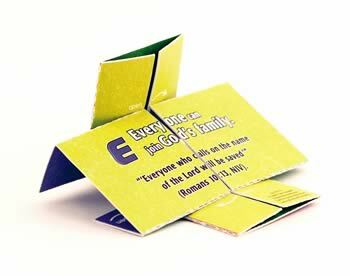 Everyone can join God’s family. A Scripture verse is included with each step. This tool can also be used as part of the E-LIFE program. For more information, visit www.elife.ag.org. Also used in HighPoint Ministry Now Kit. All Scripture quotations, unless otherwise indicated, are taken from the Holy Bible: New International Version®; NIV®. Copyright ®1973, 1978, 1984 by International Bible Society. Used by permission of Zondervan Publishing House. All rights reserved.